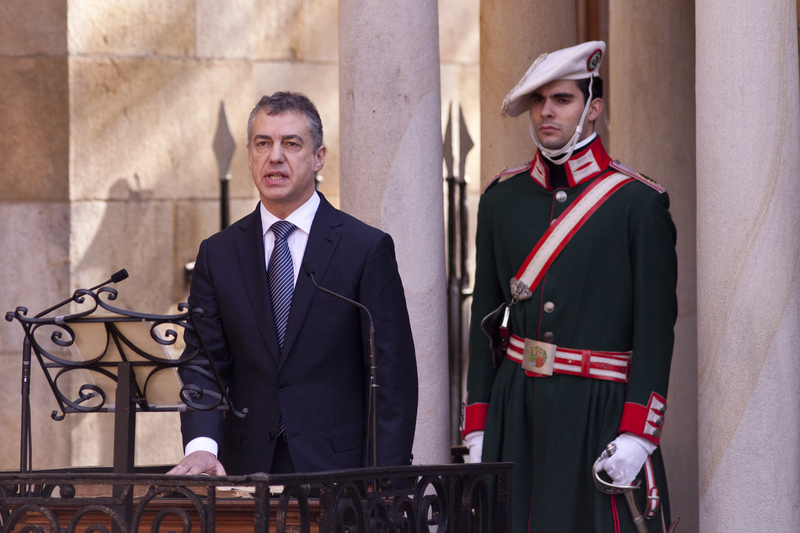 Iñigo Urkullu, whose Basque Nationalist Party (EAJ) won elections in the Basque Country in October, took tha oath as new Basque President, or lehendakari, in Gernika, on December, 15th. Urkullu’s party, took 27 seats on the Oct. 21 vote in an election in which voters handed a major victory to nationalist and pro-independence parties. The EAJ came ahead of left-wing coalition EH Bildu with 21 seats, but fell short of an absolute majority. It has been engaged in talks with other parties in search of post-election agreements but finally decided to form a single-party government. Urkullu’s party did not reach any agreement with other political parties to set up a coalition government and formed a single-party government. He will need to reach agreements with other parties in parliament and his party has just 27 seats in the 75-seat chamber. Urkullu has already announced he will present Spain´s Prime Minister Mariano Rajoy a proposal to negotiate a new status for the Basque Country in 2013. 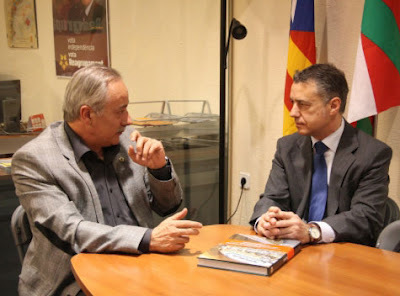 Mr. Urkullu, a few months ago, visited Dr. Joan Carretero, Reagrupament President, in Girona. They discussed to explore ways to collaborate in the international and also in the Spanish scenarios between EAJ and RCAT.